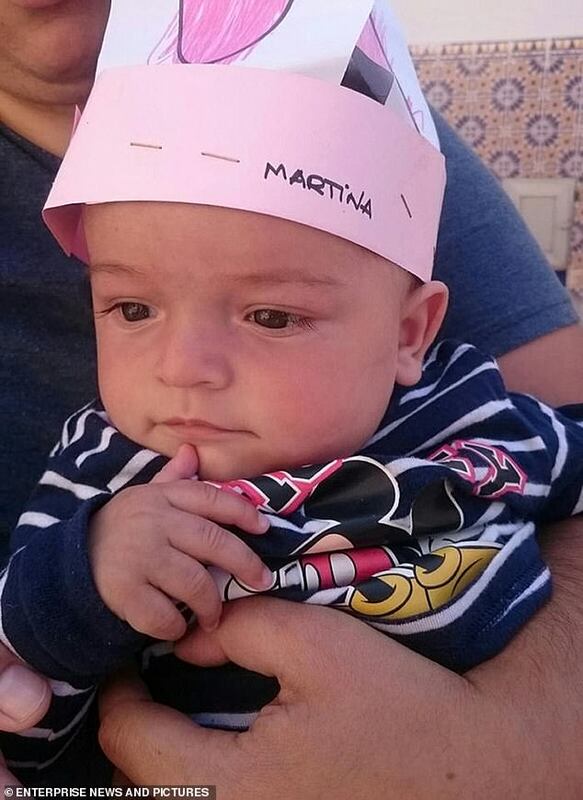 This is the the first picture of a two-year-old Spanish boy who has been trapped in a 250ft well for nearly a week. 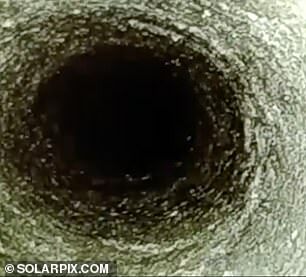 Rescue teams trying to reach the boy trapped inside a well in Spain are expected to start drilling a new vertical tunnel today. Officials announced late last night that they were just 10 feet away from digging out an 82ft deep chunk in the hillside and creating a platform from which powerful drills will start the job of creating the new vertical tunnel running parallel to the one Julen Rosello has spent nearly a week in. Rescuers hope the drilling will take around 15 hours – although the race against time to reach the youngster as soon as possible means proper surveys have not been carried out and rock underground could cause further delays. 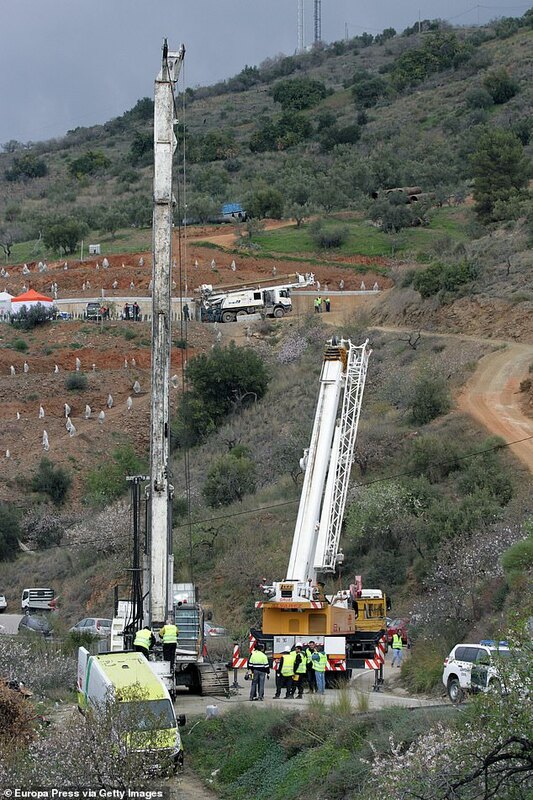 One of the drilling machines, described as the most powerful in Spain, was taken off a job on a motorway near Madrid so it could be used in the rescue operation. 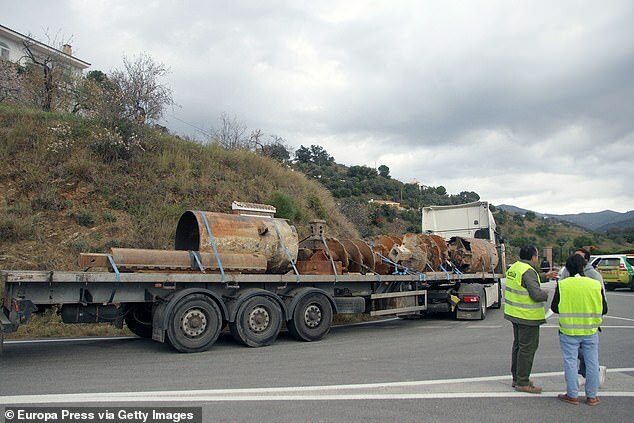 Stage three of the operation will involve mine rescue experts flown in from northern Spain earlier this week digging out a 13-foot-long horizontal tunnel by hand from the point the drills reach to the 10-inch-wide borehole Julen is in. The miners are expected to start their dig around 250ft down the new tunnel, the same depth as a blockage of sand, earth and rocks Julen is thought to be trapped in or under. A special capsule capable of supporting the weight of two people and oxygen equipment has been created so Julen can be brought out alive if he survives what is set to be at least seven days underground. Police and private sector experts involved in the extraordinary operation say they are still clinging to the hope the youngster is surviving in an air pocket with water and they can pull off what would undoubtedly be one of the most spectacular rescues of all time. Thousands of well-wishers from around the world have also lent their support by posting pictures of their hands on social media alongside the hashtag: ‘MimanoaJulen’ which in English translates literally as ‘MyHandtoJulen’ and messages of encouragement. Julen’s devastated parents Jose Rosello and Vicky Garcia, 29, are now staying at a house lent to them by a Good Samaritan after being asked to leave the hillside where they spent most of the past five days for their own safety. The property is near the town of Totalan and close to the scene of the ongoing operation a half-hour drive north east of the Costa del Sol capital of Malaga where the couple are from. 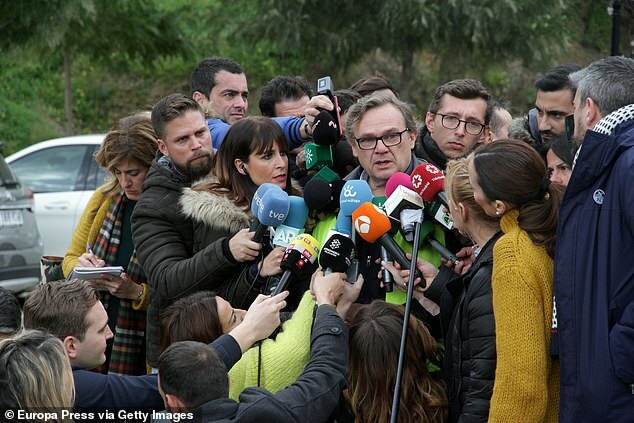 The massive rescue operation swung into motion last Sunday afternoon after Julen plunged down a tiny 350ft borehole as his dad prepared a lunchtime paella on family-owned land. 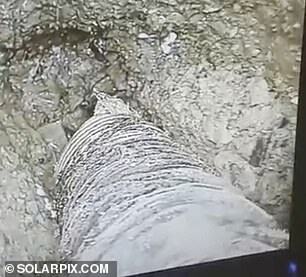 The hole was made by a prospector at the request of Jose’s cousin’s boyfriend to search for water. The prospector has told police he complied with the law by sealing the hole after it was made but Julen’s family say it had simply been covered with stones that weren’t properly laid. Recalling the moment he realised Julen had disappeared down the borehole as he prepared lunch with friends and relatives including a cousin, Jose told a Spanish TV programme earlier this week: ‘I was putting some more wood on for the fire and ran towards him. ‘My cousin was a bit nearer and threw herself on the ground as I reached the orifice. ‘He had already gone. I heard him cry at first but then I didn’t hear him cry anymore.’ In an interview with Malaga-based paper Sur he added: ‘My wife went to phone into work to let them know she wasn’t going. ‘She was with Julen and asked me to keep an eye on him as she made the call. He was only a few feet away. ‘I went to get a couple of logs for the fire for the paella and he began to run. ‘We saw how he fell down the hole, my cousin more than me because she was closer.’ Julen’s brother Oliver died aged three two years ago after suffering a heart attack thought to be linked to a congenital heart defect. The boys’ gran Reme Garcia has been asking Oliver to protect his little brother from Heaven in heart-wrenching messages posted on social media. Angel Garcia, the engineer leading the search and rescue teams who is updating journalists on progress every day from the scene, told reporters yesterday/on Friday: ‘Right now it’s as if Julen was the child of us all.